Make more - Any app for any platform: Create applications for multiple devices, PCs, and the web — all powered by the cloud, and built on top of your existing applications and skills. Cross-platform technologies help you create applications for Windows, Android, and iOS from a single development solution. 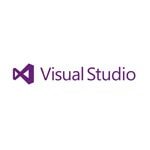 Achieve more - Understand your team code: Visual Studio Professional provides powerful features to quickly understand your code. Code lens helps you stay focused on your work by showing code references, changes to your code, displaying who last modified a method, or discovering whether tests are passing — all from right where you are in your code. Collaborate more - Deliver software faster: Visual Studio Professional 2015 with MSDN includes Team Foundation Server 2015. Get the benefit of the tools, services, and resources to facilitate better team collaboration and analytics feedback to deliver successful software projects. Take advantage of agile project planning tools, team rooms, charts and more included. MSDN Subscription - Exclusive access to Microsoft’s vast developer resources: With a Visual Studio Professional with MSDN subscription, you get the software and benefits you need to stay up on all things code: including access to core Microsoft software for development and test, monthly cloud credits, collaboration tools, training courses, professional support, and more — the latest and greatest from Microsoft.